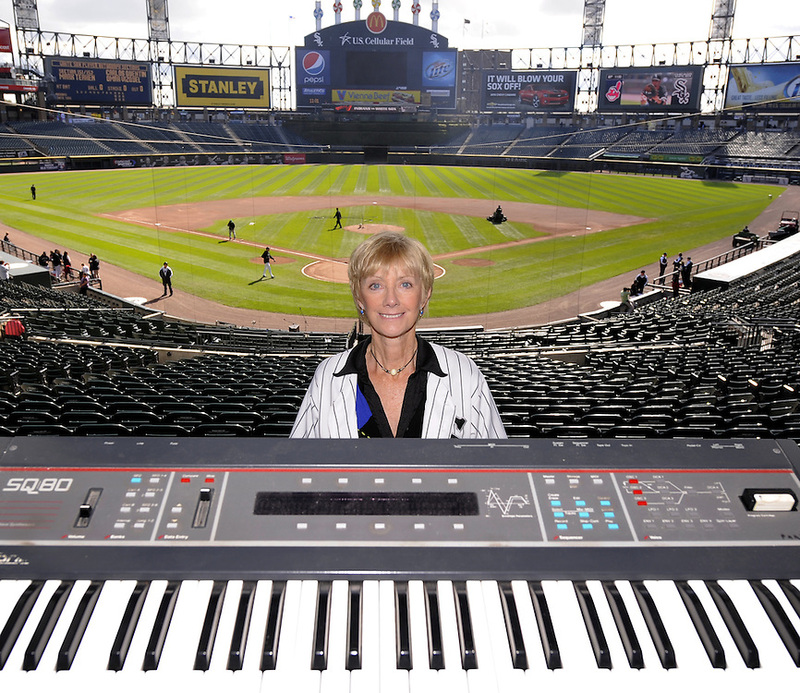 Oh what fun organist Nancy Faust would have with Chicago White Sox outfielder Daniel Palka if she were still putting songs to players as they came to the plate. “I know a lot of polkas,” she quipped. 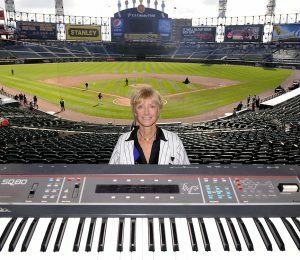 Faust, organist for the White Sox for 40 years, will be inducted into the Shrine of the Eternals on July 22 in Pasadena, Calif. The Shrine of the Eternals is the Baseball Reliquary’s equivalency to the Baseball Hall of Fame, but induction is not based on individual statistics the way the Hall is. Faust said she never had anything scripted going into a game. Even if Faust (or someone else) did script things, she wouldn’t be able to follow it. “Ask me to play a song and it’s totally by ear. I can’t read music. I play it mostly from how it sounds,” Faust said. “Hum it and I can play it. I just do it. Faust will be joined by former White Sox pitcher Tommy John, known more for the arm surgery named after him than his pitching statistics, and the family of baseball veteran and humanitarian Rusty Staub, who died earlier this year. 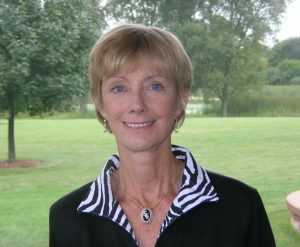 She entertained fans on Chicago’s South Side from 1970 through 2010. At the age of 23, Faust began serenading fans at Comiskey Park. She was an instant hit, supplementing the traditional organ repertoire with pop and rock themes, and linking snippets from television ads and pop music to specific players. Detroit Tiger Brandon Inge — “There was a playwright named “Inge,” who wrote ‘Bus Stop’ so I played that. It was Faust’s version of “Take Me Out to the Ball Game” that moved then-Sox announcer Harry Caray to begin leading the fans in a rollicking version of the song, an act that would later make him famous on the North Side of Chicago. 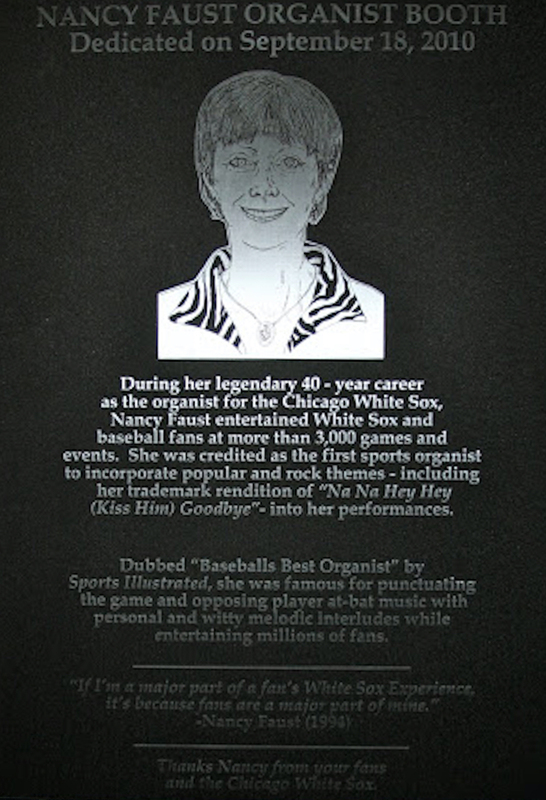 The Baseball Reliquary notes that perhaps Faust’s greatest contribution to sports history took place in 1977 when, after the South Side Hitmen demolished an opponent that she first played “Na Na Hey Hey Kiss Him Goodbye,” a 1969 tune by an ensemble called Steam. During her 40 years with the White Sox, Faust missed only five games, and those were due to the birth of her son. Faust also played for the Chicago Bulls and the Chicago Blackhawks. Faust, John and Staub were the only three individuals on the 2018 ballot to get the required 25 percent of the vote. Notable names that fell short of getting into the Shrine of the Eternals this year include broadcaster Bob Costas, manager Leo Durocher and pitchers J.R. Richard and Denny McLain. It was Faust’s fourth year on the ballot. Faust said she did her best to play off of whatever was happening at the ballpark. She said a player walking during an at-bat, a rain shower occurring or a player stealing a base all would generate a response from her. Faust said the time was right for her to say “goodbye” in 2010. Faust said she never heard from an opposing player about the walk-up song she provided for him. 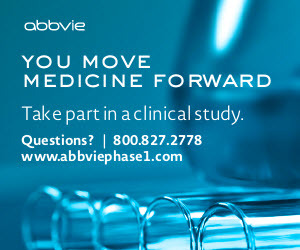 “They were concentrating on what they were doing,” Faust said. The Mundelein resident said the focus has changed in the past 20 years with players wanting to hear certain songs. She said the races and other entertainment between half-innings compete for time. “There’s just not time to do too much now,” Faust said. “… The organ can still have a presence, but it’s not necessary anymore. There was more time years ago. The coach would walk out to the mound and I used to trace his steps. If there were three people meeting on the mound, I would play ‘The Good, the Bad and the Ugly,’ Faust said. “Now that time is used for a dot race or a commercial. Plus, they are trying to keep the game going now. The luxury of time is no longer there. Faust says she misses many aspects of being at the ballpark, but none more so than the fans.